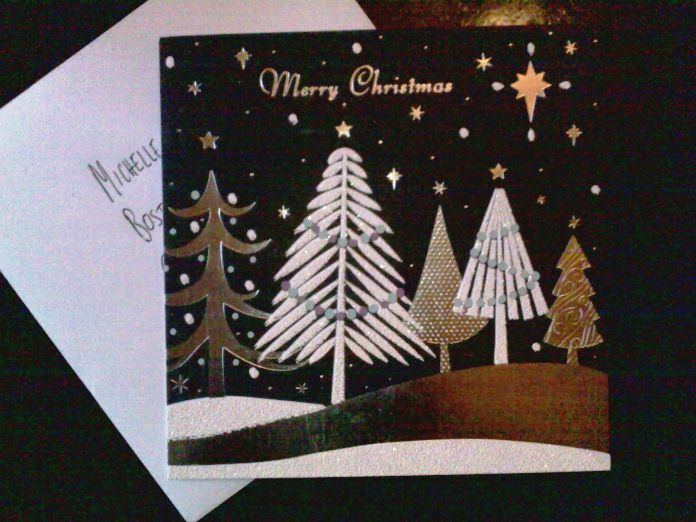 After all of her hard work, I thought it would be nice to send Michelle a Christmas card. I put quite a lot of thought into picking the card. I didn’t want to send something which would make me look silly. She respects me. I wanted something quite serious. Many thanks for all your help and patience in looking into my “1000s of uses” query. I wonder how many uses this card has. Not as many as Blu-Tack, I am sure! I possibly overdid it with the exclamation marks, but maybe it’s OK. It’s Christmas. Surely you’re allowed an exclamation mark or two at this time of year. But seriously, nice end to the saga. Are you planning to follow up with a valentines card? “I’m stuck on you” something like that? I think a Valentine’s card might be a step too far. You know? I’ve never even asked if she has children. I considered putting a little kiss after I signed my name, but decided against it. Last year my girlfriend made her own Christmas cards by blu-tacking a photo to some card. That’s a good idea; after Christmas you can remove the photos without tearing them. I thought so too. 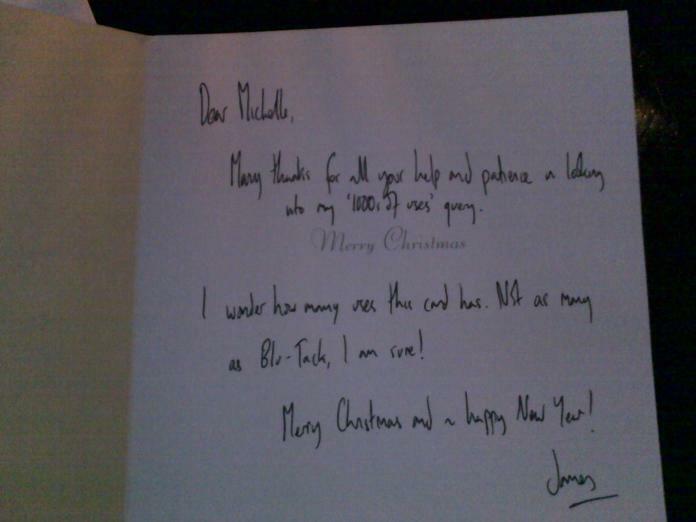 You also give a small amount of Blu-tack to each recipient to do with as they wish after the festive period. Yes, it’s a card and a present in one.